Georgia boasts of beautiful churches, green valleys, mesmerizing mountain scenery, and hospitable residents. Whether you are looking for a hike up the majestic mountains or want to go whitewater rafting, keep Georgia in your mind. This is a place where we consider our guests as a blessing and always strive to help each other. Georgia is the world’s most beautiful destination. Are you tired of working for other people? Want to break the barriers and work for yourself? Want to help people and feel good about your job? Choose the 100% online curriculum offered by the Hearing Aid Academy and prepare for the hearing aid specialist licensing exam here in Georgia. Matt Maxey, the founder of DEAFinitely Dope proved that “It’s Not the Disability that’s the Problem.” Matt Maxey who grew up in Georgia was the only deaf person in his school. When he attended university he felt out of place as he could barely use sign language. From the beginning, he was in love with music. Soon he started learning sign language by practice the lyrics in sign language. This gave him the opportunity to have the best of both worlds. He could easily blend in with people with hearing disability and people who could hear. One day one of his friends encouraged him to put up a YouTube video while signing the song. Over a short period, he gained popularity and became the first deaf person to use ASL along with hip-hop music. It is easier than you think to start working for yourself while earning regular income. 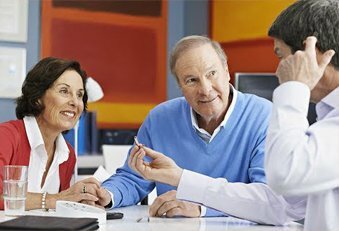 Hearing Aid Academy offers an advanced and comprehensive online education program to help you pass the written and practical hearing aid specialist licensing exam here in Georgia. A positive inflow of income? A stable work opportunity for many years to come? An opportunity to help others? Hearing instrument services industry is a growing industry which boasts of high demand and long-term stability. Enroll in the 100% online curriculum and prepare for the written and practical hearing aid specialist licensing exam here in Georgia. There are three main factors that make hearing instrument services industry as one of the most sought-after industry. Various retail locations such as Costco, Walgreens, Sam’s Club, Miracle-Ear, and CVS Pharmacies are opening up hearing centers worldwide. Therefore, their expansion plan means they will need qualified hearing aid specialists to fill in the vacancies. It is estimated that there are five jobs for every qualified and licensed hearing aid specialist. As the hearing aid dispensing companies continue to expand over the next few years, the job market will stay in high demand. Improved technology plays a vital role in the high demand for hearing aid specialists. Since the past few years, manufacturers are developing smaller and more effective hearing aids. So instead of chunky old-fashioned hearing aid, patients can now wear virtually invisible hearing aids. With the increase in hearing aid demand, the cost of production decreases while the quality remains intact. As hearing aids demand arises, so does the demand for qualified and licensed hearing aid specialists. Apart from the vacancies generated by companies and improved technology, more people are in need of hearing devices than before. Aging population and lifestyle changes that have caused damage to hearing over the years creates a perfect career opportunity for many. The hearing instrument service industry is not going to slow down anytime soon. This is the right time to consider working as a hearing aid specialist and earn a prestigious position in the industry. Make a real difference in people’s life and work at convenient hours. There are so many growth opportunities for licensed hearing aid specialists. As several hearing aid retail centers have been set up at multiple locations, it is becoming increasingly easy to earn an income that exceeds $75,000 per year. By passing the hearing aid specialist licensing exam here in Georgia, you can open up a world of endless earning potential. To get a license, you must pass a written and practical competency exam called the International Licensing Exam (ILE) administered by the International Hearing Society (IHS). ILE is conducted throughout each American state. If you choose the traditional method of going through the licensing process, you will need to enroll in a college and commit a huge amount of money and time. However, Hearing Aid Academy gives you an opportunity to prepare for the hearing aid specialist licensing exam in Georgia in less than 12 weeks. Yes, that’s true. With 100% online program, you can complete the program according to your speed, comfort, and study whenever you get time. While you will be spending approximately $48,000 on a two years course, you can easily enroll in the Hearing Aid Academy curriculum for a fraction of the cost. What’s more? You get a chance to fast track your education and complete it in less than 3 months. This is the quickest way to get licensed as a hearing aid specialist. So as long as you have a working internet connection and a laptop, you can study this self-paced 100% online program anywhere anytime while keeping your current job and other life commitments.